Women face unique biological and social vulnerabilities place them at greater risk from contracting and dying from disease and violence. The risks start early, with young girls at much greater risk of suffering child abuse as compared to boys. Adolescent girls and young women ages 15-24 are two times as likely to contract HIV as compared to their male counterparts. IMA is part of the increasing global movement toward addressing issues of gender in health, promoting women’s empowerment and gender equity in its programs. By design, IMA’s programs promote a comprehensive reproductive health and rights approach and involve women in leadership and planning of its programs. 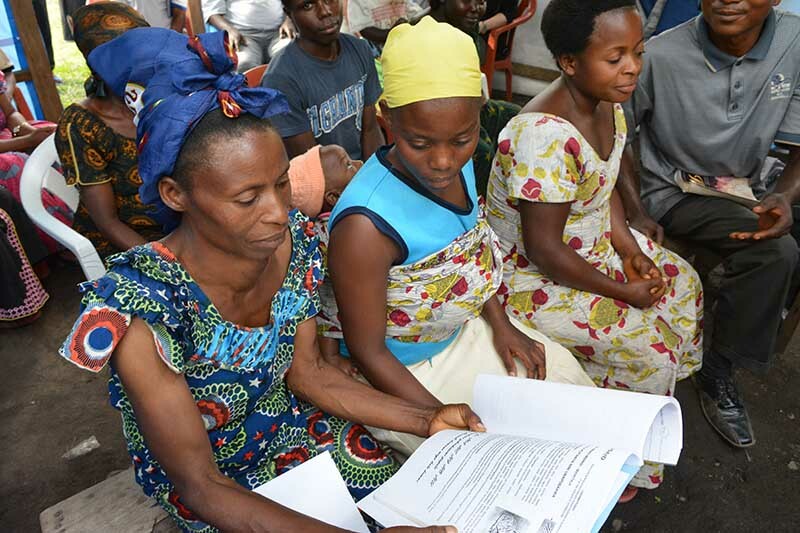 Within the USAID-IMA World Health Counter Gender-Based Violence Program, IMA assists survivors of sexual- and gender-based violence in Eastern DRC to access holistic support services (legal, medical, psychosocial, and economic support). IMA engages male partners as positive change agents and supporters. IMA also works with communities and village leaders to overcome negative social attitudes toward women. • perceptions of stigma surrounding reintegrated survivors reduced.